What’s the best way to end the whale chapter in science? We are using Apologia’s Zoology 2: Swimming Creatures of the 5th Day for our science curriculum this year. 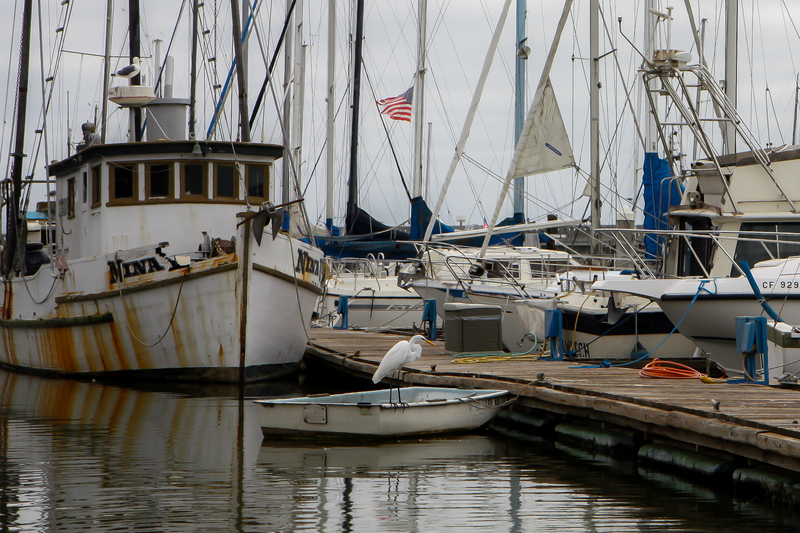 Since we’re on the Pacific Coast I couldn’t imagine a better curriculum. 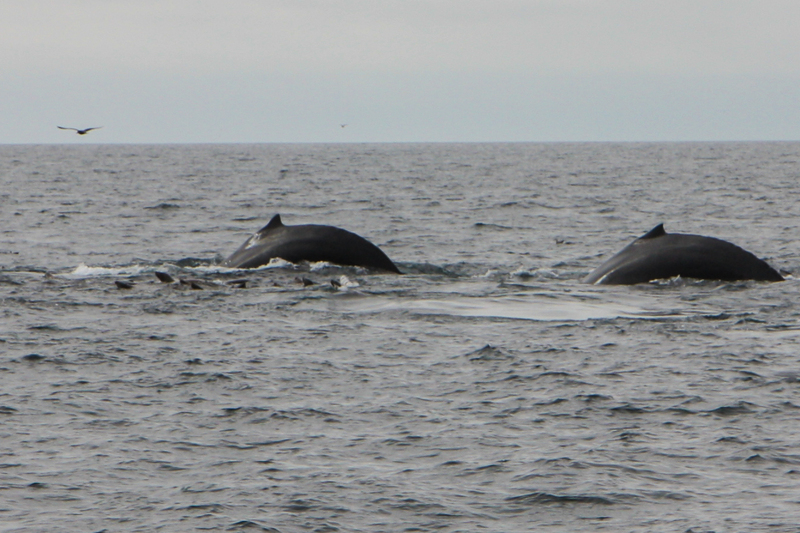 Lesson two covers Cetaceans: whales, dolphins, and porpoises. The majority of the chapter was spent on learning about toothed whales and baleen whales. And I learned that a “fluke” is more than a fortunate happenstance or the last name of someone seeking their fifteen minutes of fame. Ahem. 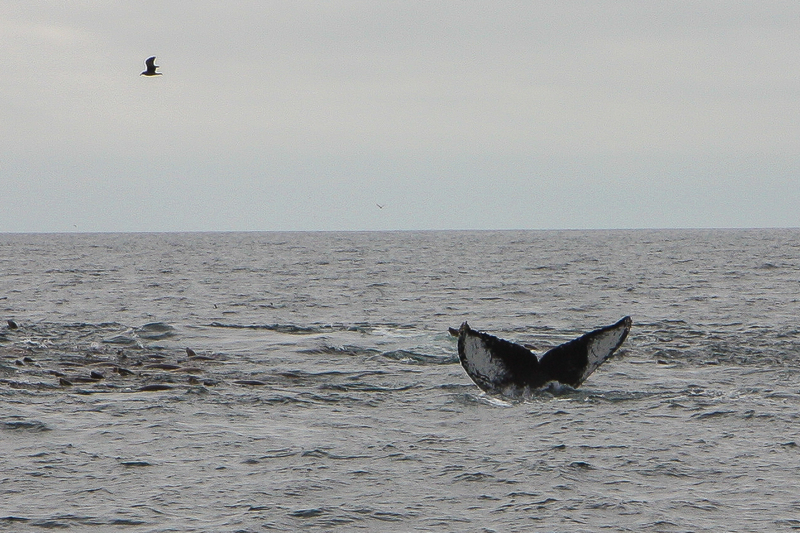 What better way to end this chapter than to go on a whale watching trip!?!? 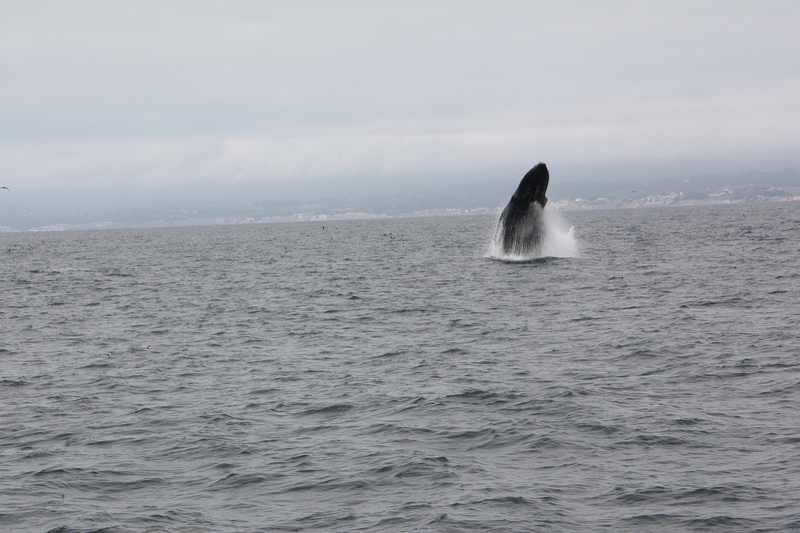 We have friends here that are doing the same curriculum, so we all went out Sunday on a whale watching adventure. 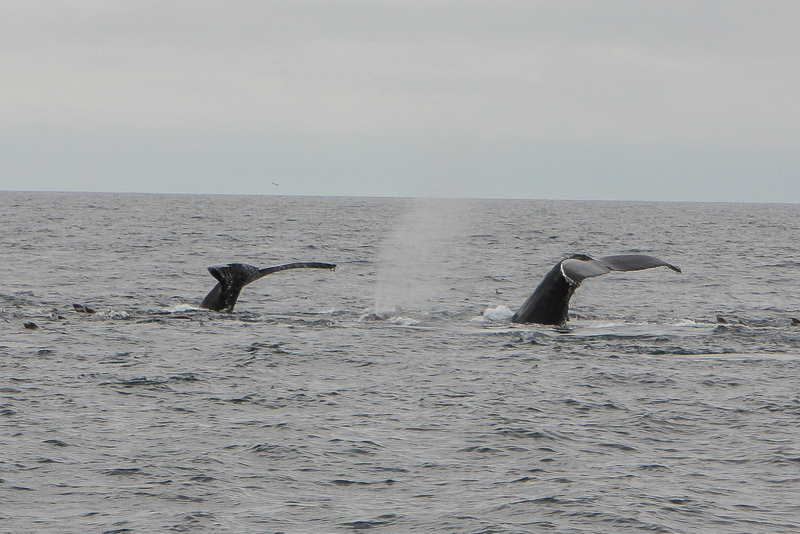 We’ve been hearing for weeks now about how active the whales are, and some people even have the chance to see them from the shoreline. 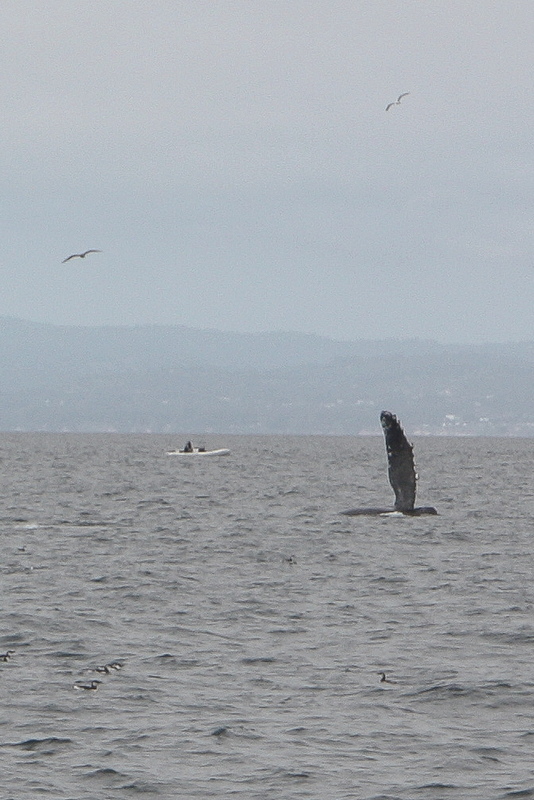 I just knew that the moment I got out into a boat all the whales would head out to deeper waters. Murphy’s Law seems to follow me around like that. 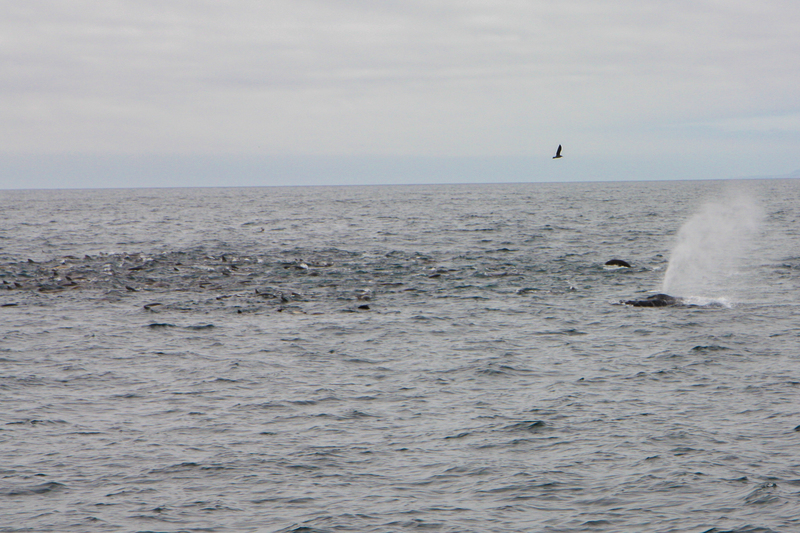 It wasn’t too long of a boat ride to get the feeding grounds, and we were rewarded with spectacular whale sightings. 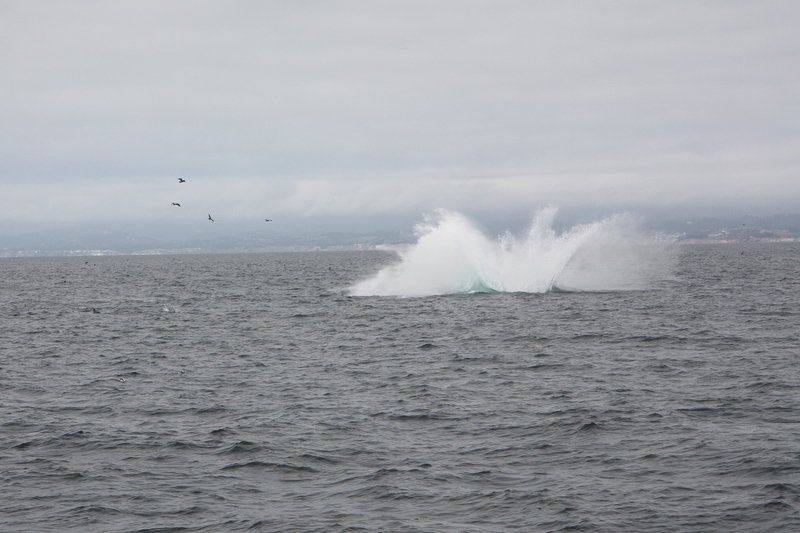 We saw humpbacks feeding, breaching, trumpeting with their blow holes, and waving at us with their pectoral fins. 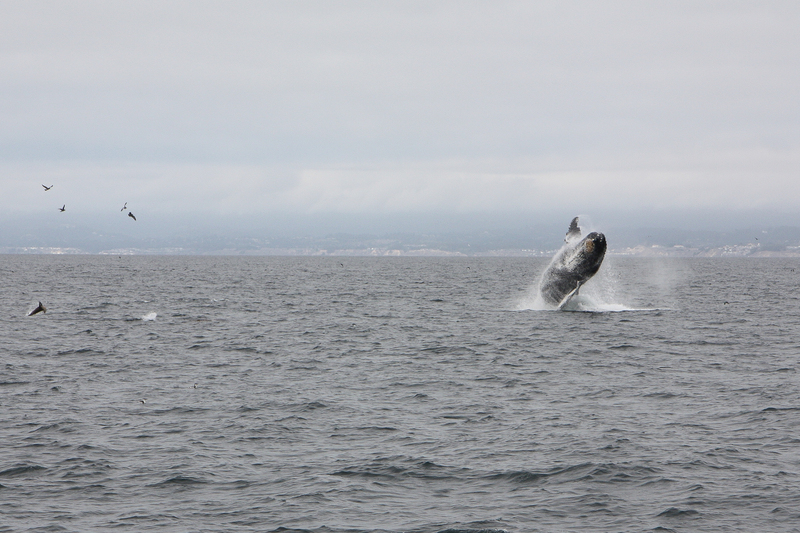 Breaching sequence – scientists aren’t sure why whales breach. 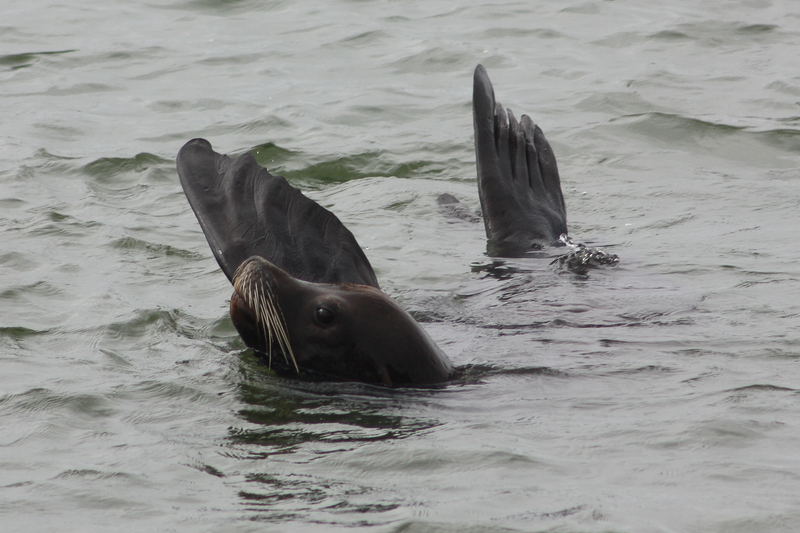 This sea lion’s not dead – he’s warming himself. 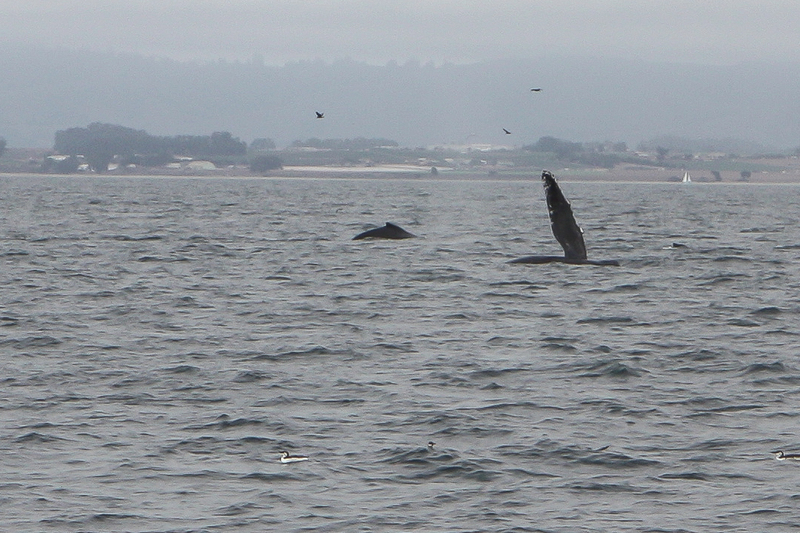 We learned to predict when the whales would surface. 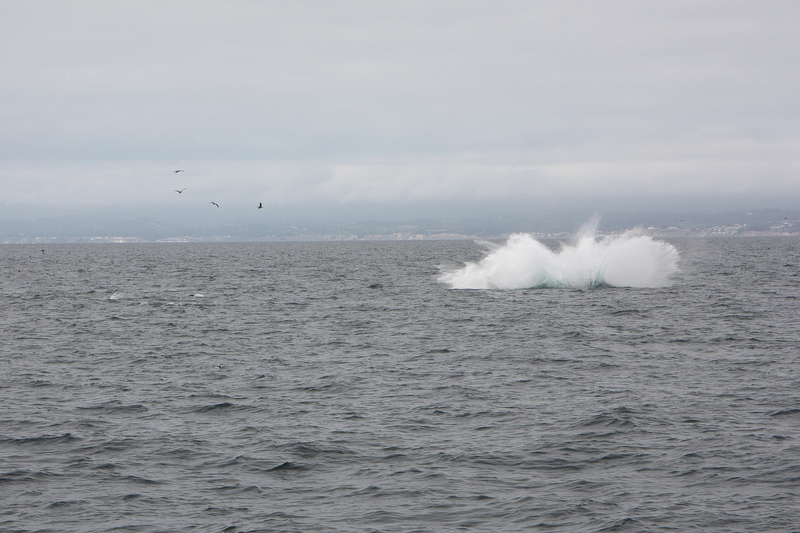 The sea lions work along side the whales to round up and eat anchovies. 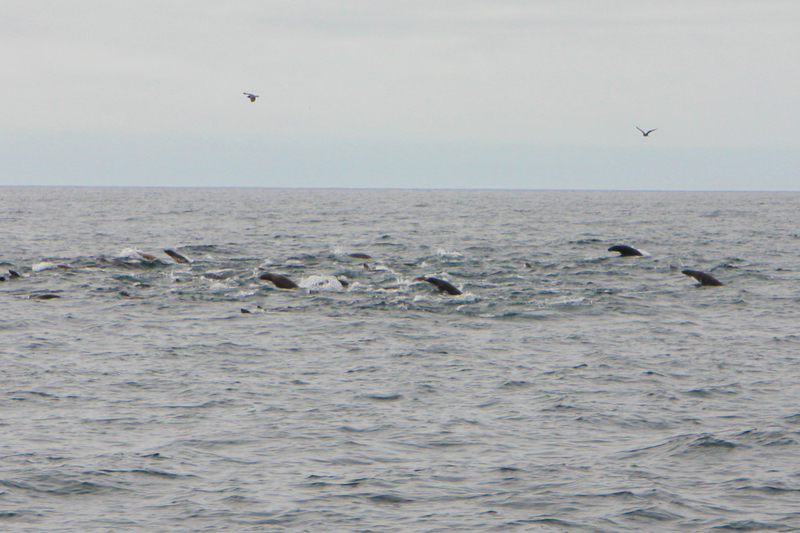 So, when we would see a group of sea lions surface and begin to porpoise we knew the whales would be right behind them. 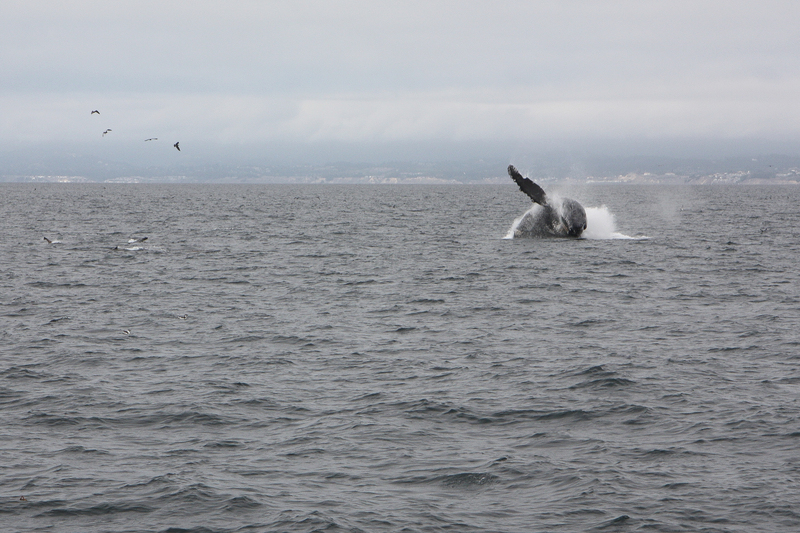 The whales can only eat very small fish, krill, etc because their throats are only INCHES wide!! 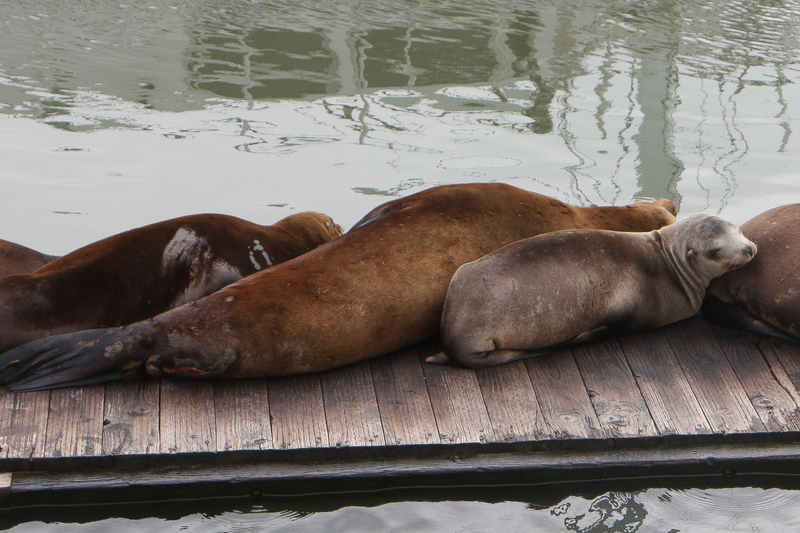 So, the sea lions aren’t worried about being eaten. 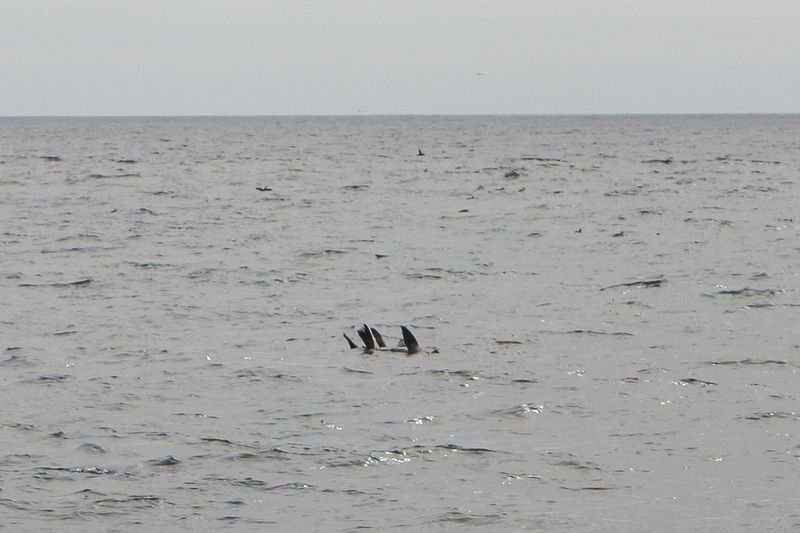 . . at least by a whale.
. . . the whales! Wait for iiittttt . . .
There’s a baby sea lion! 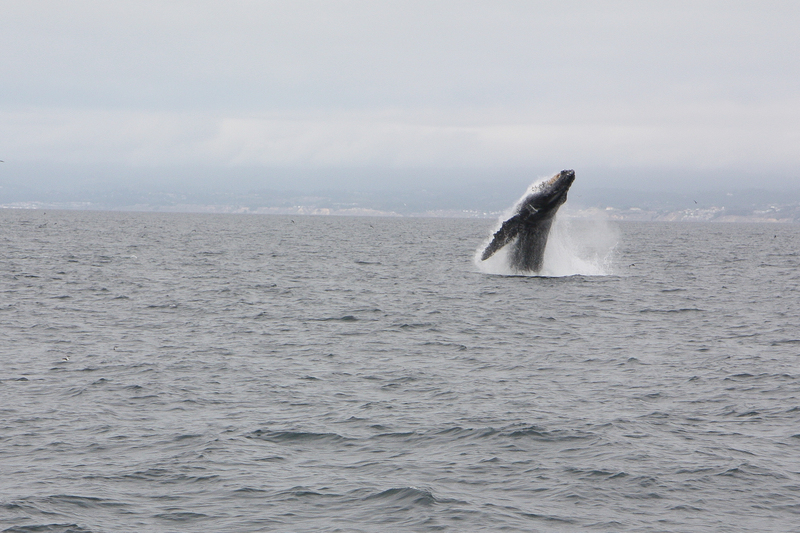 The humpback whales were amazing to see. 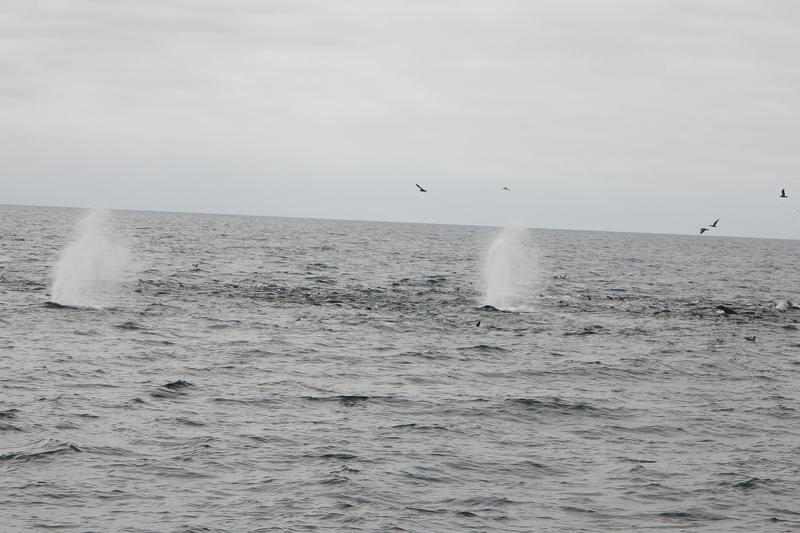 I’d love to go back again in the winter to see the gray whales during their migration south. 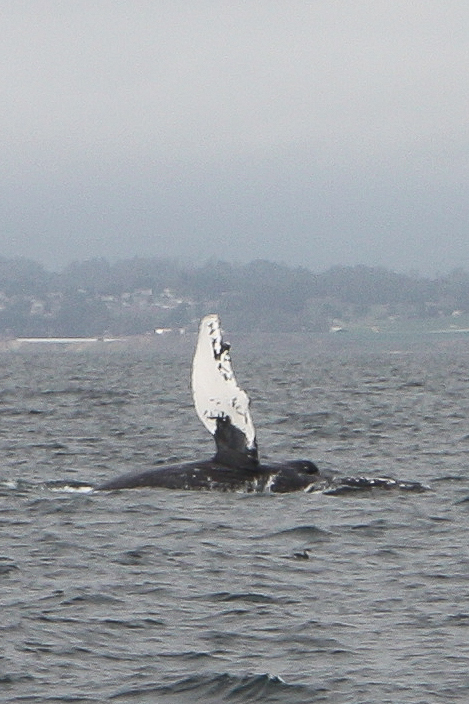 Pingback: What's the best way to end the whale chapter in science?